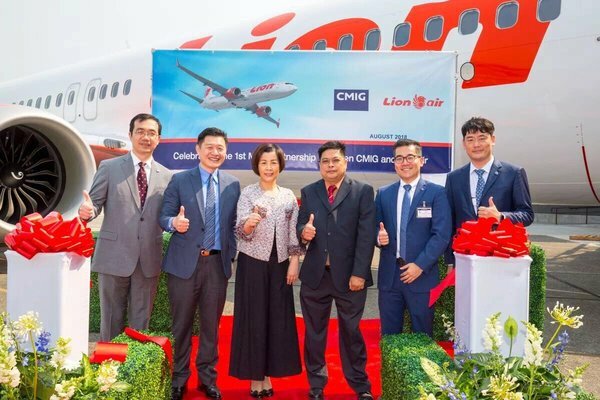 Lion Air has taken delivery of a Boeing 737 Max 8 in Seattle, via CMIG Aviation Capital leasing company. The Lion Air Group has an in-service fleet of 299 aircraft and flies from bases in Indonesia, Thailand and Malaysia under 5 different brand identities. As a group, it serves more than 200 destinations in over 20 countries, most of which are the Chinese Belt-and-Road regions. The addition of 737 MAX 8, fitted with CFM-LEAP-1B engines, will allow the company to pursue its growth plans. 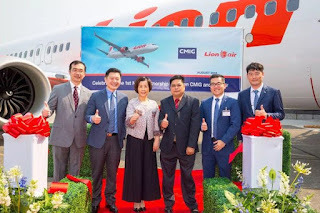 Edward Sirait, Lion Air Group CEO, said, "We are delighted to have CMIG as a lessor to the Lion Group and we look forward to expanding and strengthening this business partnership. As the largest domestic operator in Indonesia, safety and reliability are our top priorities. The 737 MAX has built upon our current 737's industry-leading reliability and is providing us with the highest level of air safety for our passengers."